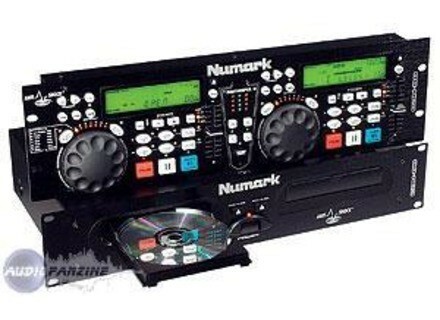 CDN88, Rackmount DJ Player from Numark in the CDN series. CDN-88 Pro is a dual-deck unit that plays traditional CDs and MP3 CDs, as well as other DJ capabilities. DJs can scratch in real time using CDN-88 Pro's dual jog wheels and create two different loops, including three hot-stutter starts on each deck. 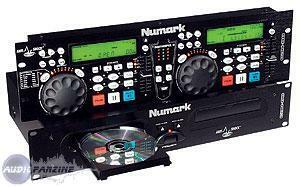 Nine DSP effects with direct access including reverse enable DJs to truly perform in ways no other CD player permits. DJs can even layer multiple effects. CDN-88 Pro contains Numark's Key Lock feature, similar to Master Tempo but with more flexibility, which enables DJs to speed up or slow down the music by up to 100-percent without changing the pitch. Numark's Beatkeeper aids in visual beat matching so the DJ can spend less time in headphones. CDN-88 Pro contains a 48-second buffer . CDN88 Pro is available from DJ and professional audio retailers. It has a U.S. Retail Price of $699.00 and an estimated street price of $499.95. Image Line Deckadance v1.8 Image Line has updated Deckadance to version 1.8 for both Windows and Mac OS X. The big news is the new Song Manager. Vestax "The Tank" VAI-80 "The Tank" (VAI-80) is a compact digital audio interface capable of multi channel playback and recording. 4midiloop Controller Available Glanzmann has announced that their new DJ Controller is ready for ordering and shipment.